Background: A prominent LASIK and cataract surgeon from South Florida has a longstanding, very successful practice. Like many eye surgeons, he has operated on thousands of eyes over the years; as a result, he has accumulated reviews. Problem: Although he had acquired a good number of positive reviews, unfortunately, as is often the case, his negative reviews were hurting his online reputation. 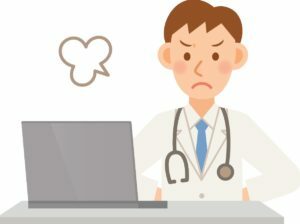 In total, he had about 50 reviews distributed across the 75 health care-related review sites. Because of a handful of negative reviews, his average review score was 3.7 on a 5 point scale (i.e., a solid C). Compounding this problem was the fact that the negative reviews appeared at the top of some of the most popular review sites. 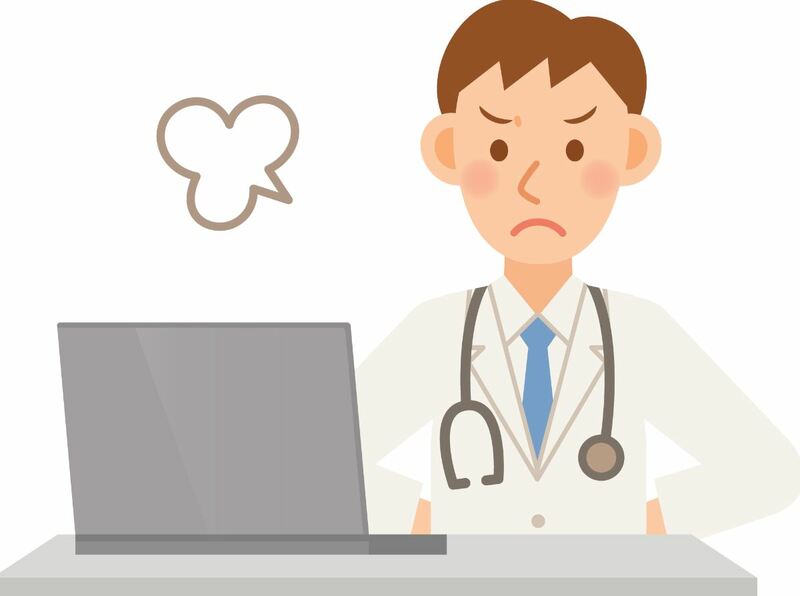 Result: Immediately, the surgeon and his practice staff began accumulating positive reviews — and as a result, the surgeon’s average review score surged upward within just a few months. By Fall 2015 the surgeon reached 71 reviews (from 47 in May), and his average review score went above 4.0. Over the next six months, using the Ceatus Reviews tools, his reviews doubled to more than 150 and his average score was nearly 4.8! Now, his positive reviews have have given him the stellar score that he deserves and have overwhelmed the few negative reviews that used to show up at the top of the reviews sites. Even more importantly, his new reviews strategy has increased his practice revenue. 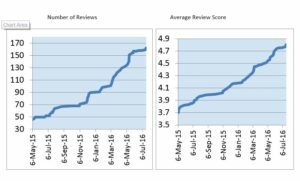 The graphs below show how his number of reviews and review score increased over the last year.